[HOW TO]Navio+ and RPI2, Create the ultimate 4G Drone. New complete script package available, ready for implementation. Read here for further information. I would like to share the ultimate RPAS Drone setup i ever has experienced / tested. One word, Awesome! In my previous blog article i was explaining usage of Pixhawk in collaboration with RPI for 4G video and telemetry transfer, this requires three separate units ( Pixhawk , TTL to ETH adapter, RPI), the more the worse. Using RPI2 with Navio+ keeps everything you need in one peace, and at least much more cleaner. I have flown approx 6hrs in total and I`m getting more and more confident with this configuration. I think a 4G telemetry system like this would be much more convenient to use than other regular radios (e.g 433 MHz and so on ). This article will explain how to configure your RPI2 with the great navigation board from Emlid.com and the usage of 4g cellular network for real time RPAS. !NOTE , All info and usage from this blog is at your own risk. Everything is experimental! I would first like to thank all of the staff over at Emlid.com for this great navigation board Navio+ and especially the great support and documentation given at theirs site. Check it out . Install PREEMPT_RT image into RPI2. Use program such as Image Writer to install image to MicroSd card. We need to update our source list with the following command. You could try to set overclocking to Pi2 1000MHz, this will increase gStreamer quality drastically, but unfortunately someone (including myself) has some issues running Pi2 overclock with APM software. Guys at Emlid.com are working to get this solved. Use None/700Mhz to be safe. !Note : See THIS thread at Emlid.com if any issues like “AK8963: bad DEVICE ID” when overclocking. We need to attach more power to the RPI2 USB, using a 5v 5A BEC. This will supply our 4G modem with enough power. All onboard equipment are powered from the same battery source. Version 1.4 are not required for this tutorial, so we just use v1.0 for the sake of convenience. Save attached(in bottom of this article) gstreamer.sh file to RPI or copy paste content bellow. NOTE! Change the IP to match your GCS ip or dyndns. You may also try with different framerate and bitrate. Try to find a setting you are satisfied with. gst-launch-1.0.exe -e -v udpsrc port=5000 ! application/x-rtp, payload=96 ! Save the attached(In the Bottom of this article) vlc.sdp and run it. Tested and working on RPI 2. This section will explain autoconnection of LTE 4G if loss of signal. We need to create crontab job that checks every 15sec if RPI is online, and if not reconnect. We also needs to change the way APM streams UDP packets. Normally we just type UDP:GCS_IP:port, but this wont work after wwan0 ( LTE USB Modem) is re-iniziated. we need to stream our packets to localhost and then use udp_redirect script to forward packets to GCS. First we are going to create "checkifonline" script. Then copy and paste code bellow. Change the green fields to match your setting. This will run our checkifonline script every 15sec. Next we need to create udp_redirect program. Copy paste the code bellow. Then we compile the file we just created. Finally we are going to make udp-send.sh script. This scripft will find GCS ip address and forward UDP trafic from 127.0.0.1( localhost) to your GCS. Note! - Remeber to change the APM start line in ArduPilot.sh as described in earlier. All documentation is provided at Emlid.com , i would recommend to see theirs instructions. After successfully installed APM, make another script which just fires ArduPilot software. Now test that ArduPilot is working properly. RPI startup and usage of installed code. I have made a startup script which calls all the necessary programs in correct order. Copy paste code bellow. Change the yellow fields to mach yours. You will need to contact your operator to get correct APN name. echo "Check if RPI is online anyway"
echo "RPI is Online, starting APM"
echo "Already connected to internet." echo "Check if gStreamer or APM is running, if not we start them." This script is not the most glorious one ( made in a hurry) but it should give you an idea on how to set everything up. You are free to make a more robust version with further functionalities. Reboot RPI and verify that 4G, APM code, gStreamer is running. At this stage you should be able to connect 4G cellular network and stream telemetry from Navio to Mission planner and simultaneously have video stream provided by gstreamer to your GCS. Now you can connect your gamepad and select Joystick tab in mission planner. Set desired function to each of the buttons and joysticks. This is how i have configured my Gamepad. GCS failsafe in Mission planner. Set Long failsafe in mission planner. The action to take on a long (20 second) failsafe event in AUTO, GUIDED or LOITER modes. A long failsafe event in stabilization modes will always cause an RTL (ReturnToLaunch). In AUTO modes you can choose whether it will RTL or continue with the mission. If FS_LONG_ACTN is 0 then it will continue with the mission, if it is 1 then it will enter RTL mode. Note that if FS_SHORT_ACTN is 1, then the aircraft will enter CIRCLE mode after 1.5 seconds of failsafe, and will always enter RTL after 20 seconds of failsafe, regardless of the FS_LONG_ACTN setting. I had to merge some of the old posts as they are depreciated and not up to date. If i understand you correct, you want to use another modem instead of the USB type? You can connect Raspberry to a WIFI hotspot if you want. As long as RPI is online you are good to go. We are also using NAVIO+ on Raspberry Pi2 and a Logitech C920 . We have had problems with corrupted USB video that we didnt know the reason until we stumbled upon this post where we found other users with the same video corruption problem. In the post it was suggested that the FIQ drivers corrected the problem, and indeed it worked. The problem is that now NAVIO+ cannot stay online much more than a few seconds, hard crashing. I took a look at /var/log/syslog and found that the stack trace went trhough scheduling code paths, which seems to indicate it is a RT kernel problem. This problem is a showstopper for our application. Do you have any suggestions to enable FIQ or to stop the video corruption? p.s. 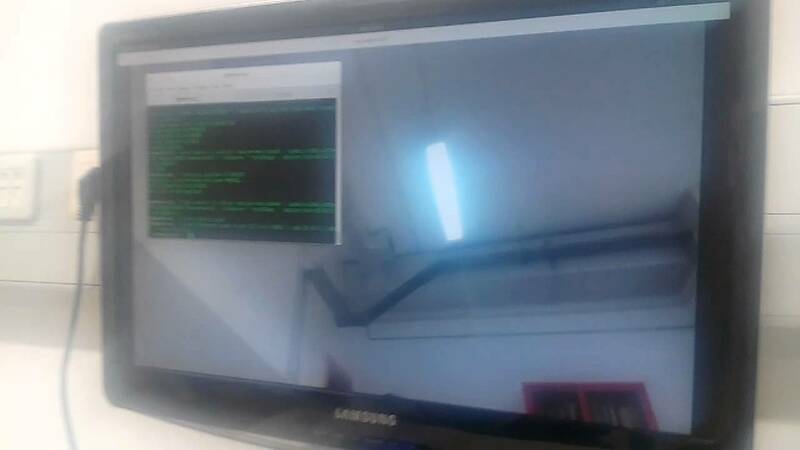 We are not using (yet) that 5V external supply on RPi USB and we using h.264 directly from C920. Could you explain Corrupted Video? was the video quality totally crap or just blurry? I never had to update FIQ driver , but what i learned is without extra power supply gStreamer will crash after running for 5 sec. Good power source is important. It would be nice if you could show us the diffrent before and after FIQ update. With FIQ enabled the RPi imediatelly crashes when the Ardupilot starts. gst-launch-1.0 v4l2src device=/dev/video0 ! video/x-h264,width=1920,height=1080,framerate=30/1 ! I will try your pipeline tonight and see if i can reproduce same behavior. I did get the same crappy picture using your pipeline. and if i enable FIQ the problem goes away but RPI crashes when start APM. identically same as you. I recently discovered that when overclocking RPI2 with 1000Mhz the video quality gets allot better with higher resolutions, but unfortunately APM won’t run in overclock mode either. So i decided to try PiCam at last and the quality is actually little better than C920, Picture is nice without any mosaics. Hopefully Emlid or anyone will come up with a working solution in this matter, either get the overclocking to work with APM or in this case, make the APM work with FIQ enabled. I think i will have to go with the lower resolutions, it works but its annoying to know that the bottleneck is software related and not (in my case) cellular network. Thx for sharing this usefull information and please keep us updated if you get arround this issue. how fast should the internet connection be for both the recieving and transmitting ends of the setup in regards to ping times and upload/download speeds. The 4g/3g connection in my area is more than fast enough for the drone, but my concern is my home link, which is terribly slow. Will these speeds be fast enough? Especially my home link? Also where I live, the 4g connection covers most of the area, but there are spots inwhich my phone has to switch back to 3g for internet. Will this be a problem for the drone link? Does it just switch between connections automatically? There are 8bit in one Byte so let’s calculate those numbers. Your local broadband gives you 2.05Mbit/s download speed, in other words 2.05 / 8 = 0.256MB/s or 256kb/s 0.256MB/s will be the max download speed in megabytes. If you stream video and telemetry you will end up using approx 250kb/s every sec. That equals 180MB/s for 15min flight. These numbers are just estimated based on my experience and will change based on gstreamer settings such as bitrate, resolution, framerate. If you consider to use only Telemetry and not video, this will be more than enough. Telemetry only needs a few kb/s. So for your home connection with 256kb/s this will be on the limit (for video and telemetry), i think you will get trouble with the video quality. You could however fiddle with a lower bitrate,framerate and make it work. Your 3G dongle speed is more than enough. 3G dongle will switch automatically between networks or towers, or at least my dongle does. I am not familiar with other countries tower and networks configuration but i guess it will be the same. mocart Is there any way to turn off WI-FI on RPI for a while and make it available again e.g after reboot? But i dont know or remember if it will be enabled during reboot again. mocart how to run UAV casting scripts during RPI booting proccess ? You did try sudo systemctl enable UAVcast ? Also perform a hard reboot . Power Off/on just to ensure that USB modem gets rebooted. mocart It look like I need to have 250MB per one flight ( it my average flying time with current frame ). Did you test how to reduce this value e.g up to 150MB per 20 minutes ??? Have a look at this post Sinamics You could set lower resolution, bitrate, FPS in DroneConfig to reduce the total MB transferred. It would be possible to clone my RPI, but the problem is that my environment is not equal to yours. A while ago i started to write a script that will install all necessary programs and script automatically. All you need to do is editing one configuration file for which software and equipment you using. I will try to free up some time to get this ready soon. Thanks Bernt, that would be pretty cool! I know that it's hard to find free time so I completely understand (have couple of kids who like to keep me very busy!). Little by little I power up the RPI when I can sneak away and make a little progress each time. I recognize myself in what you say. I wish i had more time..
Thx for the typo notice. I updated the blog with correct syntax. I played around with bitrate and got it a little better but it's quite choppy video with some noticeable lag. If the camera doesn't move the video is very clear so I'm going to have to make sure it's stabilized well. I guess I could live with a little bit of lag but the thing is if the video is shaky then the entire video becomes blurry. I'm expecting the worst once I mount this to the quad. I did not intend to be installing a gimbal. Have you noticed the same issues? I'm almost thinking it would be easier to just mount a Nexus 5 (I have one collecting dust) and have the handset do all the video feed stuff instead of messing around trying to work it over Linux + gstreamer....I think I might just do that. Have you tried overcloking your RPI to 1000Mhz? This will improve streaming quality. However, you need to watch out for the AK8963: bad DEVICE ID if overcloking. I am now trying with a direct modem connection to see if that helps with latency at all. Call me stubborn but I think it should be much better without converting LTE to Wifi Hotspot. One question about extra power for USB, which pins exactly ? Looking at a product like 4Gmetry...have you tried that? See this image of my current RPI with Navio+. I haven`t tried 4Gmetry yet, but i will do soon. Please keep us informed on the way, if you are going to buy 4Gmetry . first of all, congratulations amazing Project. Please, I have everything working with PICamera, but the noise is really big. So I bought a C920 camera, I know the quality is a little Worse. Did you install any driver? Because after change to C920 stops to work.